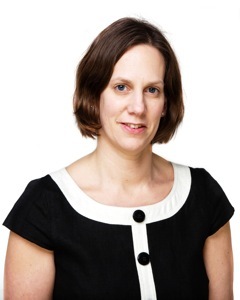 Allison Morton is a Consultant Cardiologist at Sheffield Teaching Hospitals NHS Foundation Trust and Honorary Senior Lecturer at the University of Sheffield. She has specialist expertise in the management of coronary artery disease and Percutaneous Coronary Intervention (PCI). She graduated from the University of Sheffield in 1998 and undertook Specialist training at Sheffield Teaching Hospitals NHS Foundation Trust. Her clinical training included sub-specialty training in coronary intervention. Dr Morton is a fellow of the Royal College of Physicians (London) and a member of the British Cardiovascular Society and British Cardiovascular Interventional Society. Dr Morton actively performs clinical research and has been the principal investigator of clinical trials relating to the treatment of coronary artery disease. Her PhD (awarded in 2004) investigated the effect of a novel anti-inflammatory agent on the arterial response to injury. This work resulted in an MRC sponsored clinical trial. Her current research focus is on the genetic basis of coronary artery disease and the application of computer modelling to delineate coronary artery disease.